Missed this year’s Olympia? Don’t sweat it. We’ve got the full BPI Sports Olympia recap, right here! This past weekend at Olympia, BPI Sports sure did dominate! Thank you to all those who stopped by the BPI Sports booth to meet the team, try out our products, and show your support! We appreciate all of you, BPI Nation! So many exciting things happened over the course of the weekend including the signing of 2 amazing IFBB pro athletes, Essa Obaid who placed in the top 10 of the Mr. Olympia open bodybuilding competition, and Jose Raymond who placed 2nd in the Mr. Olympia 212 bodybuilding category. 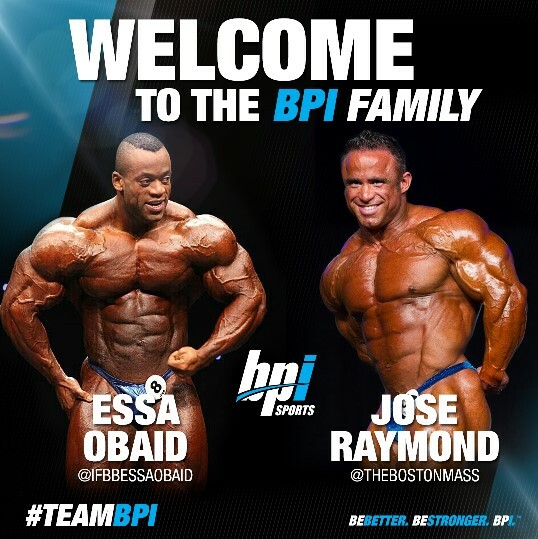 Big congratulations to the newest members of Team BPI! We’re so happy to have you onboard! Olympia attendees got to sample some of BPI’s newest products, such as PUMP HD™, BEST CREATINE™, and BURN XS™, and had the chance to get their hands on some exclusive BPI shirts, tank tops, hats and other apparel! If you entered to win a year’s supply of protein and one of the BPI or Cutler iPad stands, we’ll be announcing the winner soon! Stay tuned. We’ll see you next year at Olympia!